MoCreebec Council of the Cree Nation would like to express our deepest sympathies to the family of the late John D. Visitor, of Moose Factory, Ontario, who passed away peacefully in his sleep on Sunday January 5, 2014. 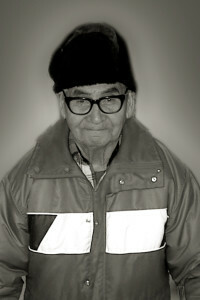 John D. was MoCreebec’s eldest Elder at 102 years old. While alive, John D. set an example of hard work, and was well known and well-loved. John D. was the first and best known boat taxi operator in the area as he was on the water for decades. He leaves behind a vast wealth of knowledge to the generations that follow him and to those who have had the pleasure of speaking with him. His life had an impact on not only the people around him, but in the world we live in. On June 6, 1993, Elder John D. Visitor was the first of 51 founding MoCreebec members to formally commit to MoCreebec and the newly ratified Constitutional Framework. Regarded as our lead Elder, he appreciated that MoCreebec was helping not only the MoCreebec people, but that the help was inclusive to others as well. John D. believed it was better that people learned to help themselves, which was his life, and it is the legacy that he has passed on to all of us. He led the way, and we will continue to acknowledge his support and contributions by preserving and incorporating his ideologies and principles into our work and philosophies.